Tucked away within a residential community in Vallejo, California is Hiddenbrooke Golf Club with beautiful scenery, fresh air and Pavilion which accommodates Weddings, Parties and Corporate Events. 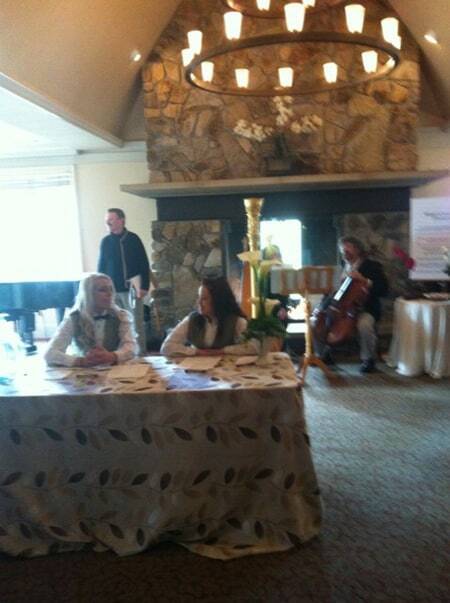 This past Sunday we attended Hiddenbrooke’s Bridal Show. We were greeted by harp songs, a warm fire place and scenic views of hilltops and trees budding with spring flowers. Hiddenbrooke’s Pavilion presents a cozy atmosphere for any intimate occasion. Imagine having your guests arrive and greeted in a warm country side with a flaming fire and harp and cello music welcoming them to your affair? Above is a scene similar to which you could have arranged for your Party. 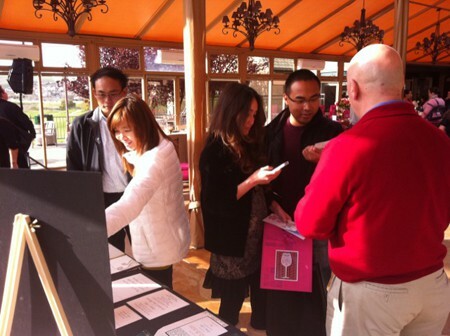 Above, Jacques, Owner of Hyegraph Invitations & Calligraphy greets Bridal Show Guests and educates them about the latest Stationery trends and planning ideas. 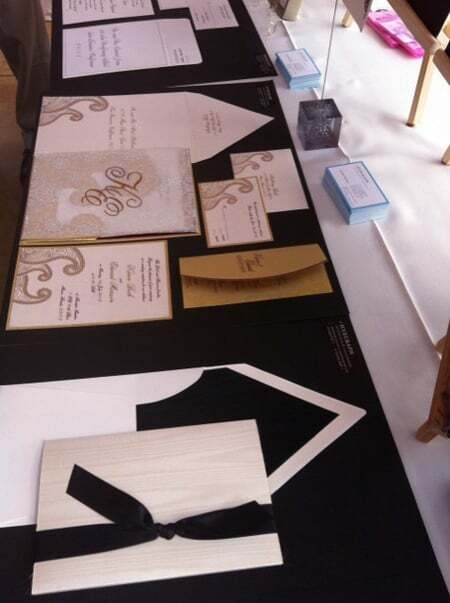 The above Wedding Invitations Example illustrates latest trends in Stationery which were shown at the Hiddenbrooke Golf Club Bridal Show in Vallejo, California. 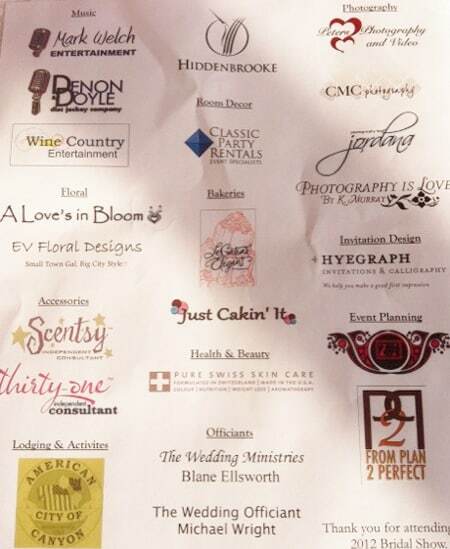 Above is a collage of vendors put together by HiddenBrooke Golf Club who were showcasing their party planning products and services for Bridal Show attendees. For more information on Hiddenbrooke banquet possibilities and vendor information go to: HiddenbrookeGolf.com. For more information on Wedding Invitation ideas and ordering please see our site at www.hyegraph.com or come in to our store at 3 Embarcadero Center, San Francisco in the financial district. We’re located Lobby Level across from Sees Candy and the Gap. You can also check our blog category Wedding Invitations or Wedding Invitations Page for new design and trends.